Draft: 2012, St. Louis Cardinals, 7th rd. Kyle David Barraclough... Attended Wilcox (CA) High School...He lettered three times for baseball and twice for football...Attended St. Mary's (CA) College. In his third full season with Miami, he finished with a 1-6 record and 4.20 ERA with 10 saves in 17 save opportunities over 61 appearances... Began the season going 0-2 with a 0.99 ERA through his first 37 appearances, holding opponents to .085 batting average over that span... Was named National League Reliever of the Month for June, a month in which he faced 38 batters and allowed just one hit...Of his 61 appearances throughout the season, 46 were scoreless and 35 were hitless. Posted 6-2 record with 3.00 ERA (66.0 ip/22 er) and one save in five chances over 66 appearances. Ranked eighth in NL with 22 holds. Tied career high in wins, bringing career record to 14-6 with 57 holds, one save (10 chances) and a 2.87 ERA (163.0/52)... Tied Trevor Rosenthal for 13th among National League relievers with 76 strikeouts. Since start of 2016, has ninth-best SO/9 ratio among NL relievers at 12.27... Went 6-1 with 4.30 ERA in 33 games at Marlins Park. His six wins were tied with Matt Albers and teammate Dustin McGowan for most by an NL reliever at home...Over first 14 home appearances, was 1-1 with 8.71 ERA (10.1/10). In final 19, went 5-0 with 1.89 ERA (19.0/4)...On road, was 0-1 with 1.96 ERA. Ranked sixth among NL relievers in road ERA (min. 30.0 ip). Finished behind Kenley Jansen (0.80), Felipe Rivero (0.87), Brad Hand (1.76), Archie Bradley (1.85) and Chris Rusin (1.88)...Posted 4-1 record and 2.03 ERA (31.0/7) in 30 appearances against NL East teams. ERA ranked second among relief pitchers with at least 25 appearances against the East, behind Hector Neris (1.64)...Held left-handed hitters to a .184 (23x125) average against, fourth-best among NL right-handed relievers ...Allowed multiple runs in just six of his 60 appearances, while holding opponents scoreless 50 times...Over first 13 games, allowed just two runs over 14.2 innings (1.23 ERA) through May 5. On May 9 vs. St. Louis, allowed career-high four runs in 0.1 inning... Tossed career-high tying 2.0 innings on April 22 at San Diego...Equaled high on May 5 at Mets, May 23 at Oakland, June 9 at Pittsburgh and August 22 at Philadelphia...Went 3-1 with 2.57 ERA (14.0/4) in June. Win total was tied with Jim Johnson for most in the Majors by a reliever... Earned second win of season on June 14 vs. Oakland. Started career-best four-game winning streak that saw him go 4-0 with a 2.25 ERA (32.0/8) over 32 games. Had win streak snapped on Sept. 9 at Atlanta...Placed on 10-day disabled list on July 26 (retro to July 25) with right shoulder impingement. Made two rehab appearances between Single-A Jupiter and GCL Marlins, tossing 2.0 scoreless innings with four strikeouts. Reinstated from DL on August 15...Following reinstatement, made 19 appearances, surrendering five runs on 14 hits, while striking out 26 and walking just seven over 19.2 IP. Completed fifth professional campaign with career highs in wins (6), appearances (75), innings pitched (72.2), strikeouts (113) and holds (29). Began season at Triple-A New Orleans, appearing in three games with Zephyrs before being recalled on April 17. Went 1-0 with one save and 1.50 ERA (6.0 ip/1 er) in that time. Named José Fernández Rookie of the Year by South Florida chapter of the BBWAA. Led all National League relievers with 113 strikeouts and 14.00 strikeouts/9.0. Set new single-season Club record for strikeouts by a reliever, moving past Robb Nen, who previously held mark with 92 in 1996. His 14.00 SO/9 rate was highest by Marlins reliever in Club history. Matt Mantei held previous record with 12.39 in 1999. Among NL relievers, ranked third in holds, tied for fourth in wins and seventh in opponents average (.176). His 29 holds also set Marlins' single-season Club record, passing Jay Powell's 24 in 1997. Tied career high with 2.0 innings pitched on June 7 at Minnesota. Recorded 24 strikeouts in August, tying Matt Mantei (24 in May 1999) for most strikeouts in a month by a reliever in Club history. Tied career-best with four strikeouts on August 23 vs. Kansas City. Recorded two-or-more strikeouts in 36 of 75 appearances, including 17 appearances with three-or-more. Earned win on July 17 at St. Louis and July 18 at Philadelphia, becoming first Marlins pitcher to earn wins in back-to-back games since Renyel Pinto from April 29-30, 2009. Combined to go 3-0 with 14 saves in 15 chances, and 2.06 ERA (43.2 ip/10 er) in 38 games at Minor League level. With Miami, posted 2-1 mark and 2.59 ERA (24.1/7) in 25 appearances...Began season at Single-A Palm Beach, appearing in 11 games before being promoted to Double-A Springfield on May 14...Named to Texas League All-Star game while going 2-0 with 3.28 ERA (24.2/9) and eight saves in nine opportunities...Totaled 68.0 innings on season (including Minor League numbers), passing previous career-high of 58.1 in 2014. 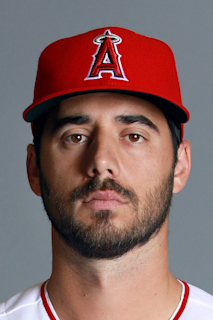 Had 90 strikeouts, also a career-high, besting 78 last season...Acquired by Miami on July 24 in exchange for RHP Steve Cishek, and was assigned to Double-A Jacksonville...With the Suns, went 2x2 in SVO, and tossed 4.0 scoreless innings over four games prior to having contract selected on August 7...Made Major League debut on Aug. 7 at Atlanta. Tossed scoreless eighth inning, while recording first strikeout...Earned first MLB win on August 12 vs. Boston. Tossed 1.1 innings, recording a season-high four strikeouts, while allowing one hit and two walks (one intentional)...Recorded second win on September 8 vs. Milwaukee, and tied a season-high with four strikeouts over 1.2 innings...Pitched 8.2 scoreless innings from August 23-September 11. Streak was broken on September 14, in loss to Mets after allowing one run on one hit and three walks (one intentional)...On Sept. 19 at Washington, allowed season-high two runs. Also allowed first Major League home run to Bryce Harper. It was first home run allowed at any level since July 4, 2012 vs. Connecticut with Single-A Batavia, which spanned 121 games...Led all Major League rookie relievers (min. 25 G) with .154 average against, while strikeouts/9.0 IP (11.10) ranked third, behind Enrique Burjos (13.00) and Carson Smith (11.83). October 10, 2018 Miami Marlins traded RHP Kyle Barraclough to Washington Nationals for Future Considerations. August 24, 2018 Miami Marlins activated RHP Kyle Barraclough from the 10-day disabled list. August 10, 2018 Miami Marlins placed RHP Kyle Barraclough on the 10-day disabled list. Lower back stiffness. August 15, 2017 Miami Marlins activated RHP Kyle Barraclough from the 10-day disabled list. August 12, 2017 Miami Marlins sent RHP Kyle Barraclough on a rehab assignment to Jupiter Hammerheads. August 10, 2017 Miami Marlins sent RHP Kyle Barraclough on a rehab assignment to GCL Marlins. July 26, 2017 Miami Marlins placed RHP Kyle Barraclough on the 10-day disabled list retroactive to July 25, 2017. Right shoulder impingement. April 17, 2016 Miami Marlins recalled RHP Kyle Barraclough from New Orleans Zephyrs. March 22, 2016 Miami Marlins optioned RHP Kyle Barraclough to New Orleans Zephyrs. August 7, 2015 Miami Marlins selected the contract of Kyle Barraclough from Jacksonville Suns. July 25, 2015 RHP Kyle Barraclough assigned to Jacksonville Suns. July 24, 2015 Miami Marlins traded RHP Steve Cishek to St. Louis Cardinals for Kyle Barraclough. May 14, 2015 RHP Kyle Barraclough assigned to Springfield Cardinals from Palm Beach Cardinals. April 9, 2015 RHP Kyle Barraclough assigned to Palm Beach Cardinals. March 22, 2015 RHP Kyle Barraclough assigned to St. Louis Cardinals. July 19, 2014 RHP Kyle Barraclough assigned to Peoria Chiefs from Palm Beach Cardinals. May 12, 2014 RHP Kyle Barraclough assigned to Palm Beach Cardinals from Peoria Chiefs. April 2, 2014 RHP Kyle Barraclough assigned to Peoria Chiefs from Palm Beach Cardinals. September 3, 2013 Palm Beach Cardinals activated RHP Kyle Barraclough from the 7-day disabled list. August 1, 2013 Palm Beach Cardinals sent RHP Kyle Barraclough on a rehab assignment to GCL Cardinals. April 3, 2013 RHP Kyle Barraclough assigned to Palm Beach Cardinals from Peoria Chiefs. August 25, 2012 Quad Cities River Bandits placed RHP Kyle Barraclough on the 7-day disabled list. July 17, 2012 RHP Kyle Barraclough assigned to Quad Cities River Bandits from Batavia Muckdogs. June 18, 2012 Kyle Barraclough assigned to Batavia Muckdogs from St. Louis Cardinals. June 9, 2012 St. Louis Cardinals signed RHP Kyle Barraclough.